It may may have been a hot and cruel summer for the rest of the country, but summer came late to Southern California this year. And now that it's here, as far as I am concerned it can go away again. I'm sorry, but there is just something wrong when it's so hot inside your apartment that the back of your thighs are sticking to the sofa cushions...and the sofa is cloth upholstered...and the AC is running full blast! If that doesn't scream "ice cream for dinner weather," I don't know what does. OK, maybe I really just wanted to have ice cream for dinner. Don't judge me. Earlier in the summer, Ben & Jerry's partnered up with Target to offer the special, Target-exclusive flavors of Berry Voluntary and Brownie Chew Gooder. If you didn't get the hint of the names, they are part of a program that Ben & Jerry's is sponsoring with Volunteermatch.org called Scoop It Forward. Basically, if you visit that website and volunteer your time and service to the local charity of your choice, Ben & Jerry's will reward you with free ice cream. Now how cool is that? Well, since I have been such a good person, I have earned some ice cream...right? I decided to start with Berry Voluntary. 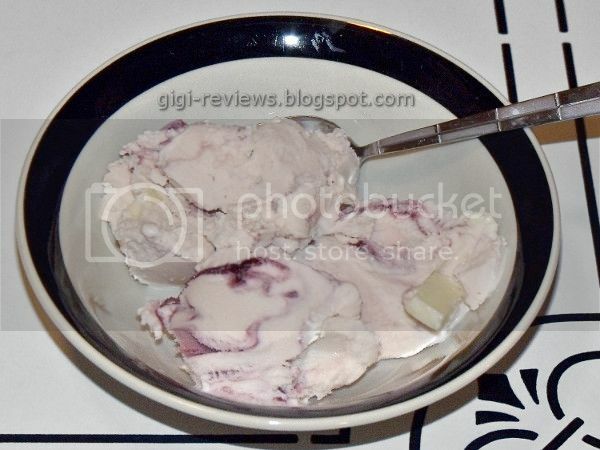 I love most raspberry flavored items -- and how could I not love raspberry flavored ice cream? 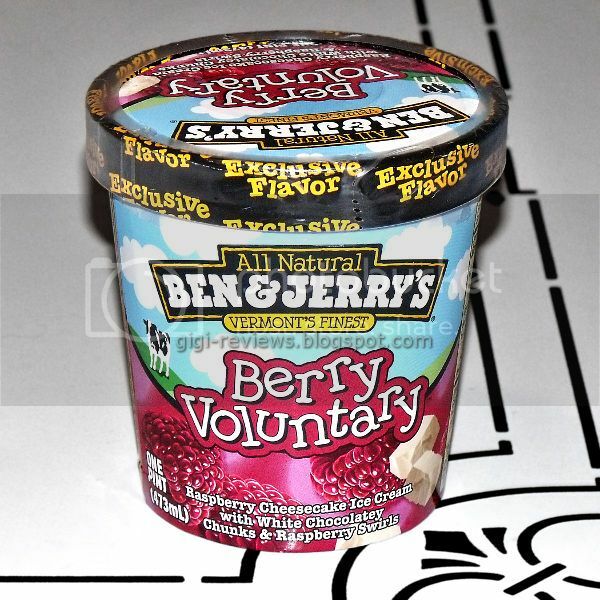 Berry Voluntary has a raspberry cheesecake flavored base with white chocolate chunks and a raspberry swirl. The base has a purple-tinged color. The raspberry is nice and soft. It's not too sour, and tastes pretty natural. I also like the fact that it's raspberry cheesecake. The "cheesecake" portion keeps the flavor a little tart and tangy. In fact, it reminded me of frozen Greek yogurt. The raspberry swirl was my favorite part. I will admit that it tastes like every other raspberry swirl on the planet -- which is to say a little sweet and almost candylike, but I happen to like that taste. As for the white chocolate... (sigh) why must it always be white chocolate? Indiana Jones has snakes, and I have white chocolate. Never let it be said that I won't take one for the team, however. Because it's Ben & Jerry's, the chunks of white chocolate are ginormous (which, to be honest, also made them easy to avoid). Honestly, I have a hard time really giving an opinion here because I just don't like white chocolate to begin with. It's got a good texture, there's some nice snap. It's the taste that I just don't like. It has that kinda vanilla-like, mostly just sugary oil taste that all white chocolate has to me. I suppose if you're a fan of white chocolate, it'll be just fine. But if you're like me...well, I did mention that the chunks are huge and thus easy to avoid. Even with the white chocolate I still really liked this flavor. It's definitely worth picking up next time you're at a Target store. Be sure to check out Marvo's review of both of the Target-exclusive flavors here. OH MY GOSH. I looove white chocolate and I LOOOVE cheesecake, and I love Ben and Jerry's so I will be picking this up the next time I can!!! Awesome review! I just finished reviewing the mini sizes myself, and have to tell you that berry voluntary is definitely the better of the two. You may prefer the minis actually as the "white chocolaty chunks" seem to have been downsized to fit the container. I reviewed this too.. yeah the white chocolate chunks were kind of weird. It didn't even taste like chocolate at all! I just tried this over the weekend. It was great. Its now in my ben & Jerrys top 3, along with Caramel Sutra and the Key Lime flavor. 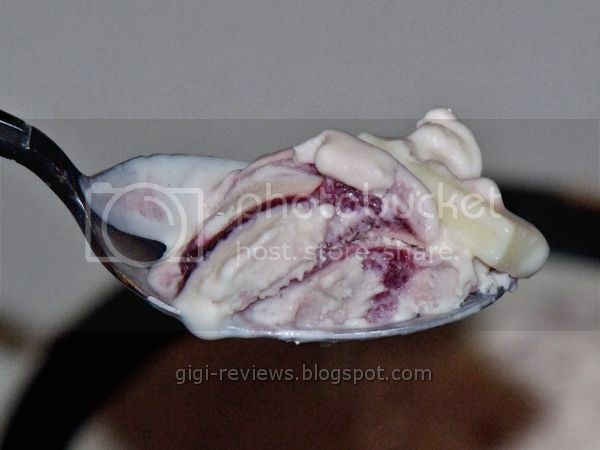 It is not the best white chocolate/raspberry ice cream, that belongs to Godiva. It makes you eat the whole thing at once since it melts so quickly.